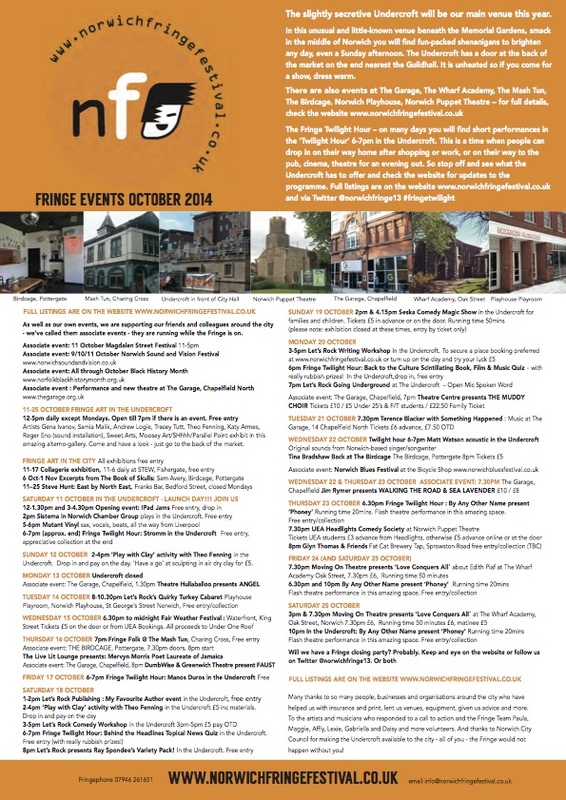 Norwich Fringe Festival – Come see my work! 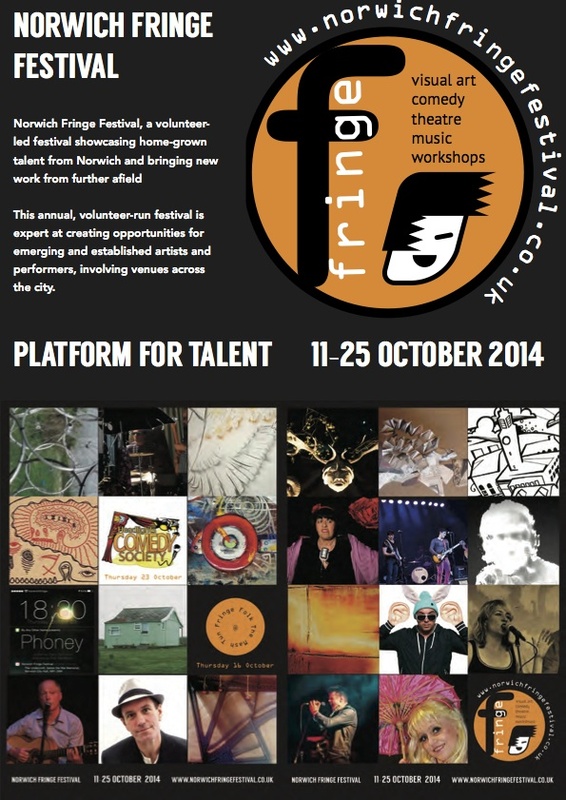 My work will be shown at this years Norwich Fringe Festival – from 11 – 25 October 2014 @ The Undercroft, Norwich. Please come and check out my work and all the other wonderful work on display! I’ll be around all day on Saturday 11th October @ The Undercroft, so pop in and say hello.